My watchmaker Ulrich Kriescher and I took a trip to the Netherlands today. 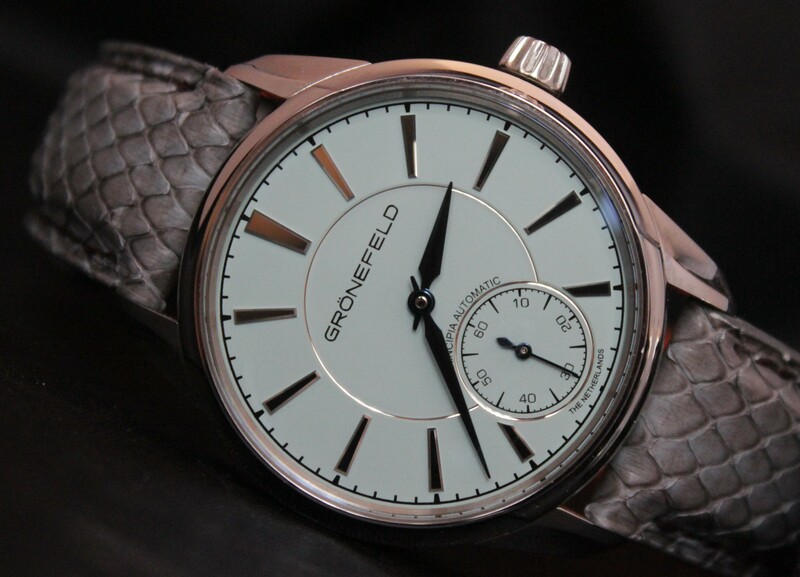 We decided to visit two respected watchmakers in Holland, one of them being the horological brothers as they are called: Bart and Tim Groenefeld. Due to the relationship between the work by Isaac Newton about time and motion to what a watch is about, the two brothers came up with the naming of their newest timepiece ‘Principia’, their newest timepiece. 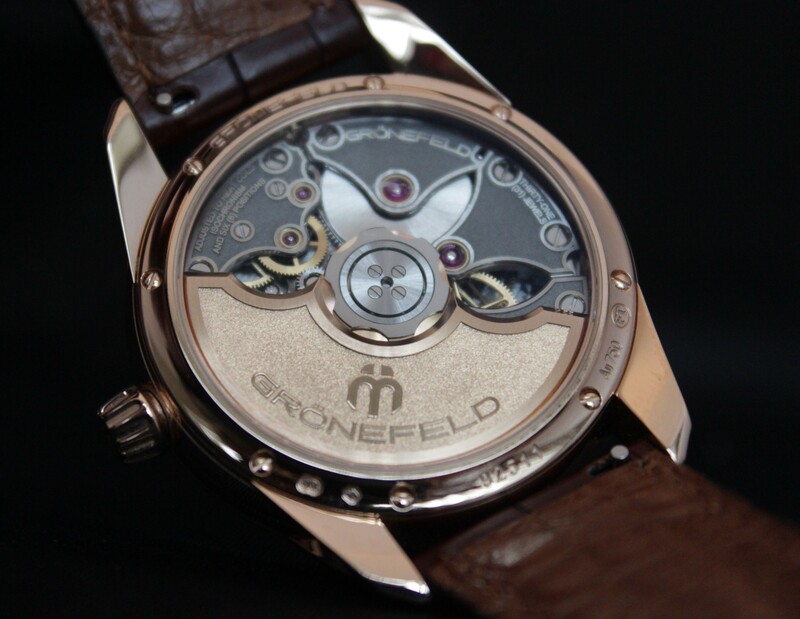 For the first time, they created a watch with an automatic movement. And while many people may think what is so special about an automatic movement, let me tell you this: you got to see the watch, you got to hold the watch and put it on your wrist, and once you speak with them about how they approached the creation and development of this watch, you understand what makes this watch special. The watch has a quickset strap function. Something that is comfortable but nothing really amazing.The movement finishing is something I would consider virtually avantgarde. It is in a league of its own, different than most classic finishing with Geneva stripes. 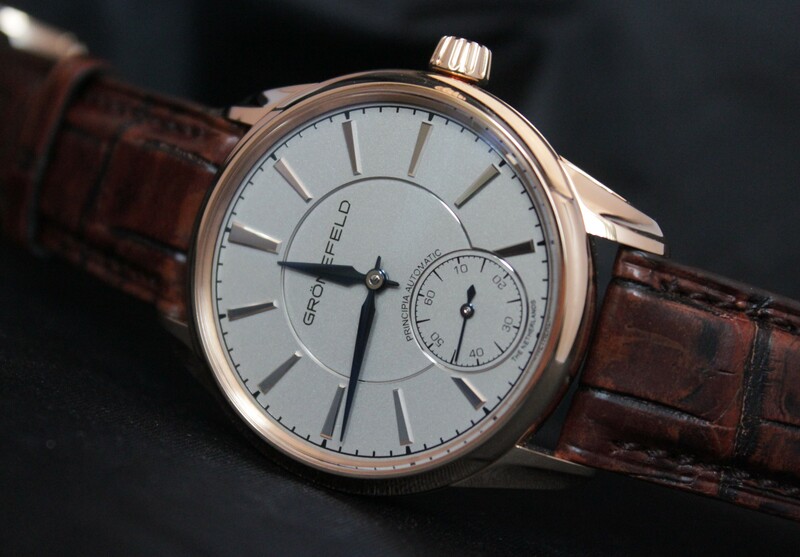 This is the first automatic winding watch with a 22 carat rosegold rotor. What I find amazing is the design of the case which is incredibly difficult to capture. The bezel, the case itself, and the lugs are truly different than anything I have seen anywhere else. 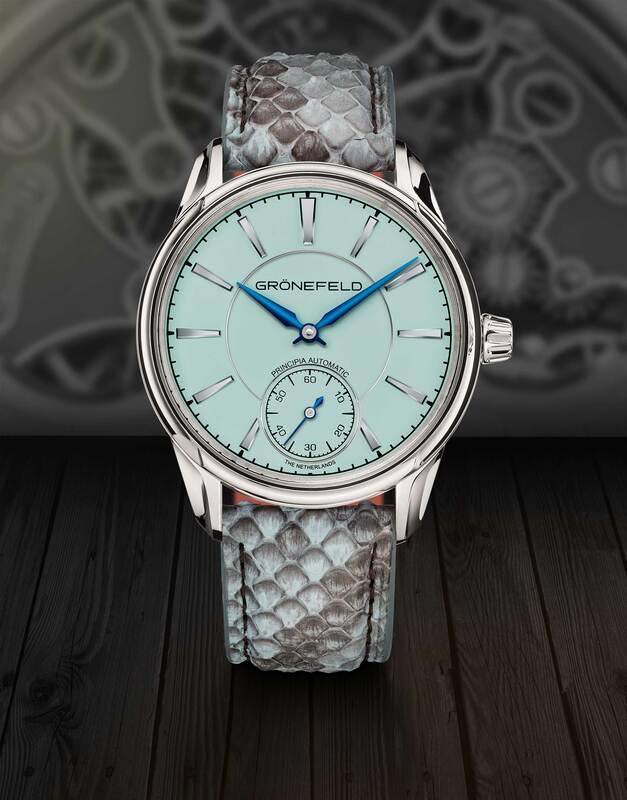 The design was first introduced with their “Remontoire 1941”. 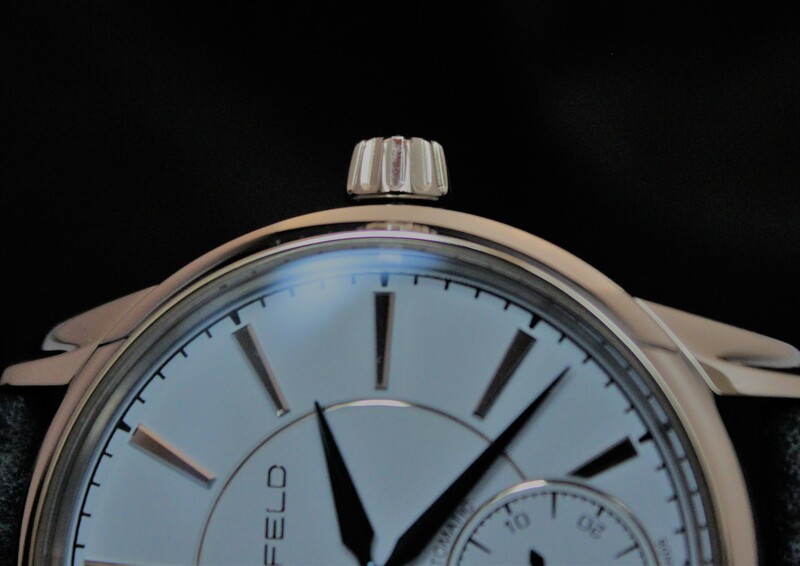 The case lugs are screwed on and can easily be replaced, something that may play an important role later on once a watch has been worn a lot and needs a polish on the lugs. The lug design has so many angles, inward and outward, concave, etc. that polishing it may not really be an option. So exchanging it would be much easier. The crown offers very comfortable winding. Since this watch is automatic winding, you may only need it to set the time. The casedesign is in fact much more complicated than the picture may indicate. It is really difficult to capture all the inward and outward curves. Let me try to describe what we are up to with the case. Let’s look at the bezel first: the bezel has two major shapes on top. Towards the lugs and where the straps are attached, the bezel is rounded like a hump, I am not sure if this is an accurate wording as English is not my mother tongue, but I hope you get what I mean. Towards the sides where the crown is located as well as the opposite side, the bezel is inwards curved, it has a concave shape. This is an interesting approach and quite different. The case has screwed on lugs and the shape of the lugs on top is complimented by the case shape. The edges where the concave and curved level coincide is in sync with the raised lug level. Quite refined. 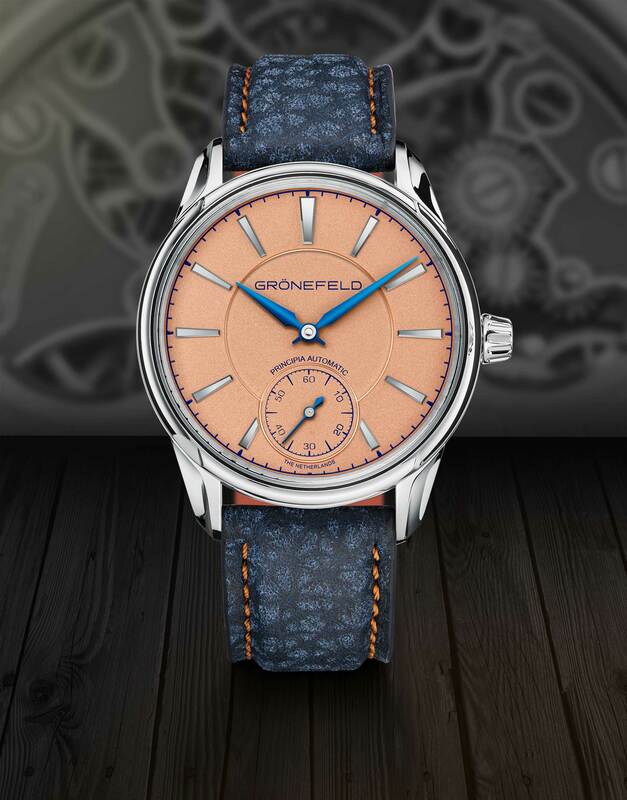 and Rhodium dial and a Salmon dial. 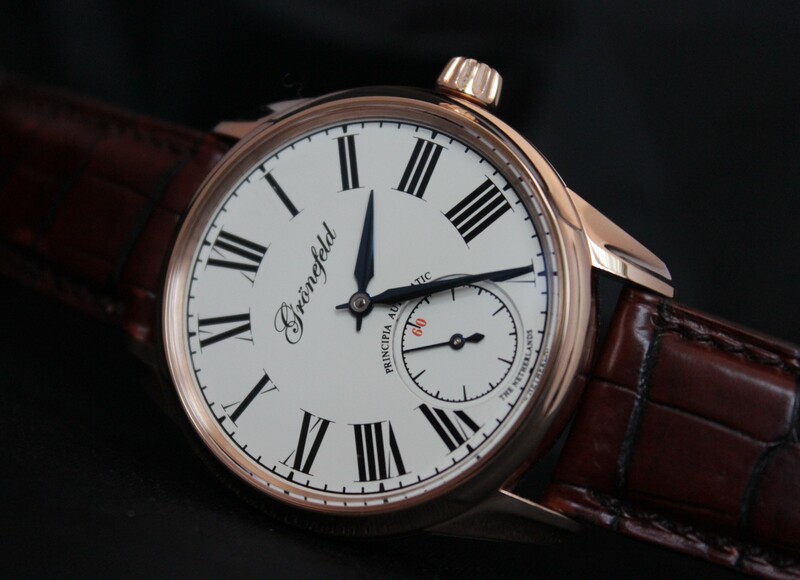 My favorite option would be the Rhodium dial with Baton markers in a rose gold case. To configurate your Groenefeld Principia, go to their website. Good news: kickstarter campaign for the first Enicar book written by Martijn van der Ven backed!